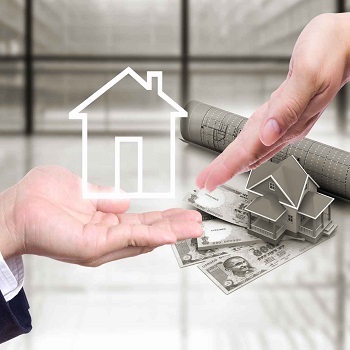 Property Loan Consultancy involves proper assistance and guidance on every step. It involves a comprehensive search on the worth of the property, loan amount and leading return schemes. Harjit Sons Property understands the needs of such kind and offers you the services of Property Loan Consultancy. Clients can contact us for the Best Loan Consultancy for any kind of Residential and Commercial Properties. Along with that, we offer assistance to you if you seek Loan Against Property. We are a recognized Property Loan Consultancy from Punjab and are known for our ethical business conduct and positive approach. We are associated with the banks like HDFC Bank and thus, we provide you with the benefits of Flexible Loan Schemes that are affordable and facilitate easy returns. Harjit Sons Property is offering you Services for Property Insurance. Property Insurance is a beneficial procedure that insures the investment against a property in the case of any mishap. Our organization provides assistance in getting Property Insurance against any kind of Residential, Commercial or Industrial Property. We have a team of experts that very well know the demands of the Property Insurance Procedure and provide quick solutions by sorting documentation, legal procedures and others formalities. Besides, our Property Insurance Services are distinct from most of the other service providers in this domain, as we ensure hassle-free services with great efficiency. Moreover, we strictly follow ethical business conduct and ensure our clients with financial integrity and dependable support.